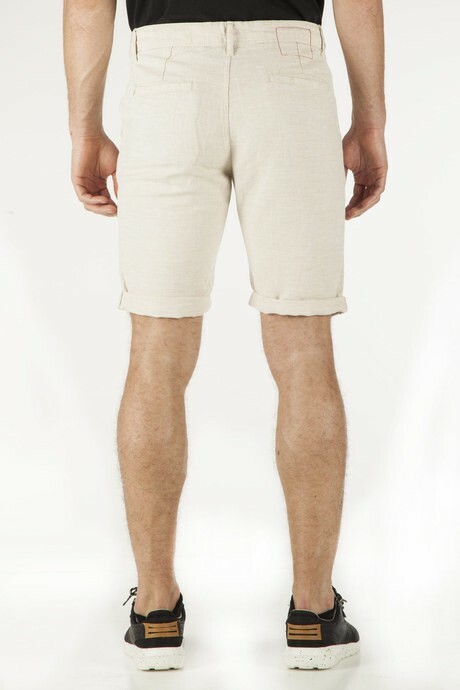 Man's cuffed shorts, melange cotton-linen. Pockets, slim fit, urban inspiration. Comfortable and versatile, they are perfect for a trendy look in the hottest days. Check Product Details for more technical information.